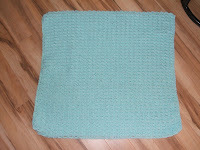 I've made so many of these "Brick Stitch" afghans in the past 20 years and always love them! 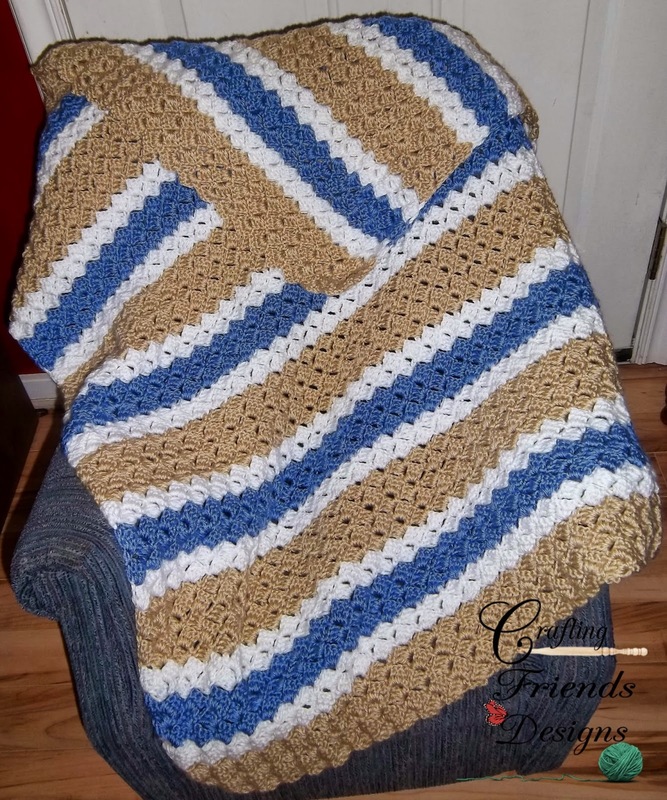 I love the effect the stitch gives when striping the design and I love the finished afghans using a single color. They all turn out wonderful and work up quickly. I hope you enjoy this pattern as much as I have! Check out my product list below to make a blanket similar to mine. Gauge: 6 DC & 3 Rows = 2"
4WW yarn for 3'x3'). 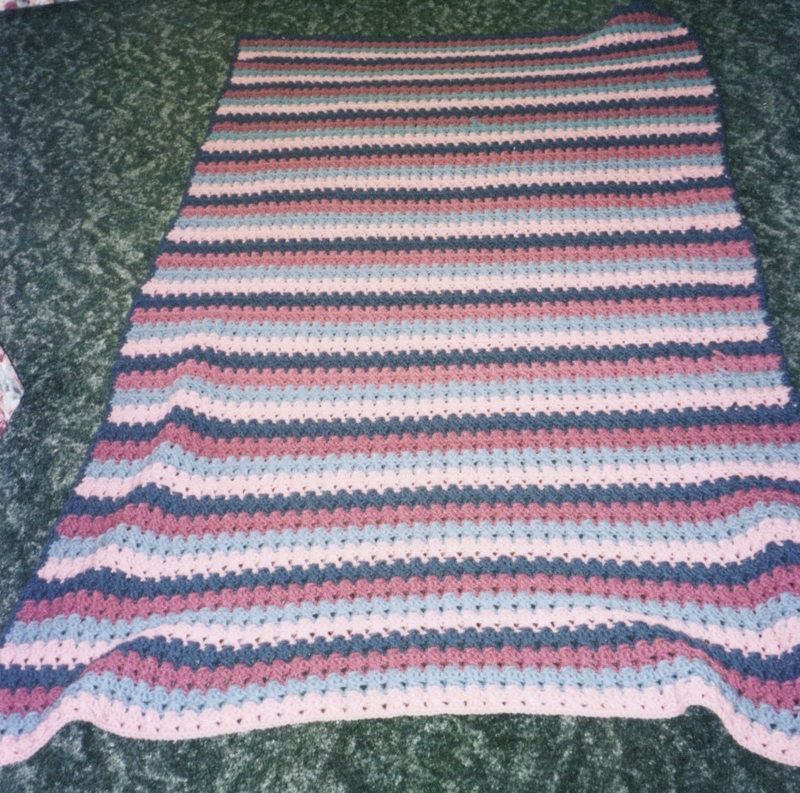 Caron Simply Soft was used in the photo shown above and is included in my list below. Begin with a HDC Chainless Foundation in multiples of 3 + 1 to desired width/length - Chain of 73 is 24" with 1 Brick Stitch = 1"
The following photos should help you with a foundation chain if you are not familiar with it. Row 1: Work 3 double crochet in the 3rd chain from the hook, * skip 3 chains, 1 single crochet in the next chain, chain 3, 3 double crochet in the same chain. Repeat from * across row, and end with 1 single crochet. Row 2: Chain 3 and turn, 3 double crochet in the single crochet of previous row, * 1 single crochet in the space made by the chain 3 of previous row, chain 3 and 3 double crochet in same place. Repeat from * across row and end with 1 single crochet in last chain 3 of previous row. 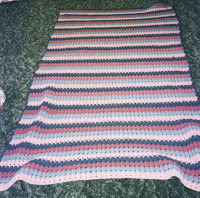 And the winner of my 100th afghan is .....Nadine!!! 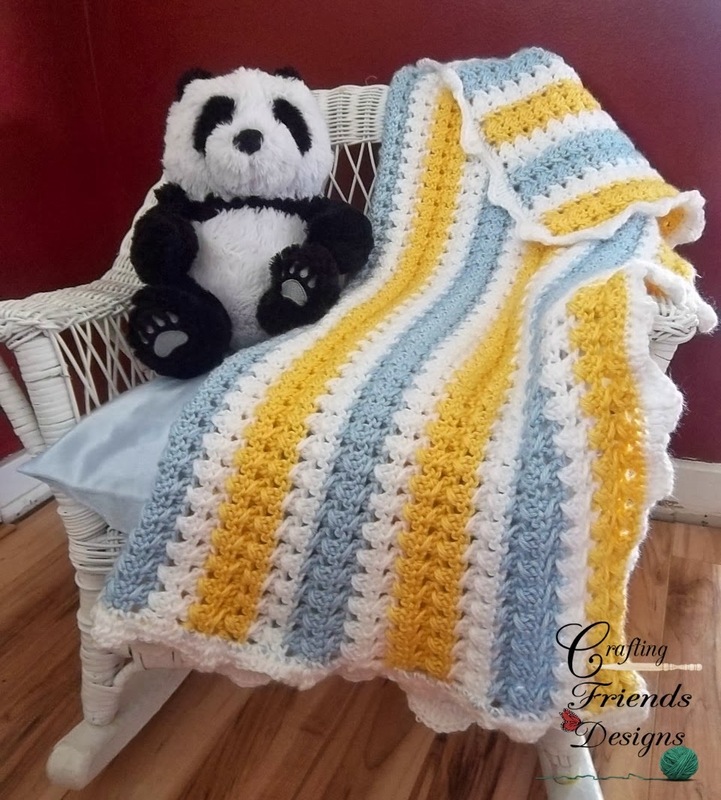 Please leave a comment here, or email me at craftingfriends4you@yahoo.com with the color(s) and possible pattern you would like as soon as possible. Now that we have some basic stitches down, lets learn a few stitch patterns. This first one is the X stitch. Very simple! Here are a few pictures of afghans I have made with this stitch alone. Make sure when you YO and pull your yarn through that you pull it up to the level of the other DC's. 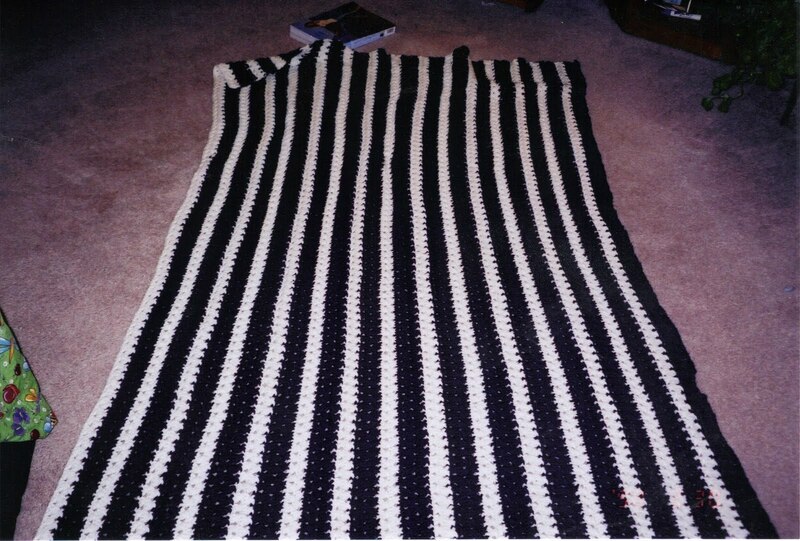 I will be writing up the pattern this week for an afghan with this stitch that will be about 4'sq. A friend of mine puts together a box with a blanket, clothes for a hospital here in Utah. When premature babies pass away, the nurses dress them and put them in the blanket and take pictures for the family. Then everything is put in the box and given to the family for something to keep in rememberance of their baby. Such a sad experience that I hope I never have to go through. To help her with her donation, I have made a few things for her. the blankets are size 2'x2' and then premie size hats. This is my favorite stitch. 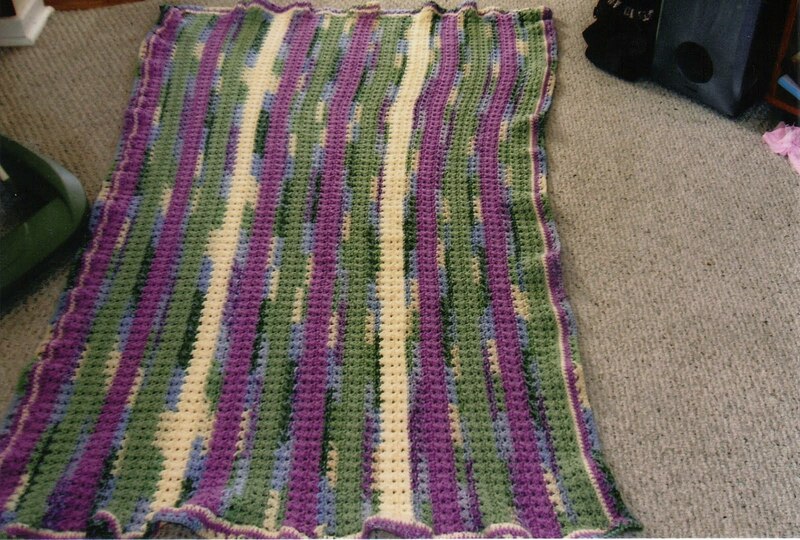 It adds good height, so when making an afghan, if this stitch is used the most, it seems to go faster for me. So, lets start with the chain...to give height to the edge of the DC (double crochet) you usually start your double crochet stitch in the 3rd chain from the hook. YO, and insert hook into 3rd ch from hook. That completes your Double Crochet Stitch. Now finish the chain to practice and even out your stitches. Ok, so now that you have your chain, use 1 ch space as the edge to build up the side. 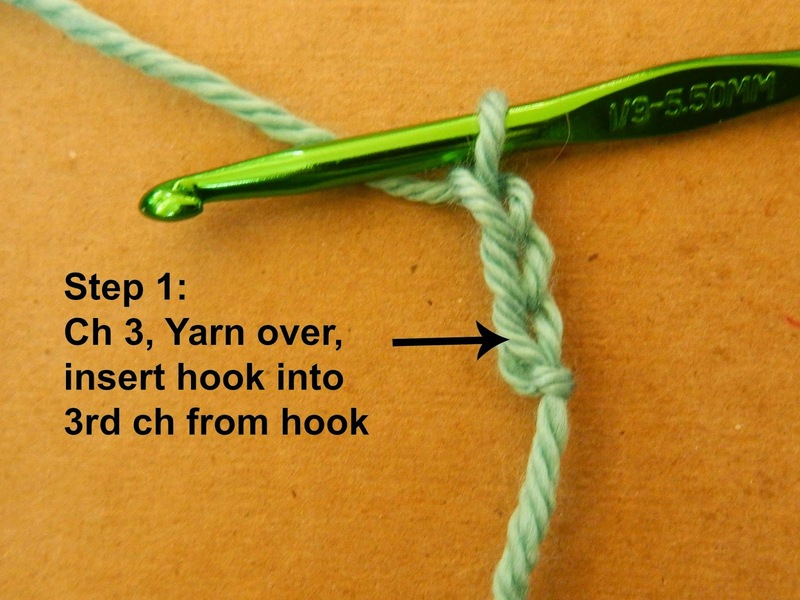 In the 2nd ch space, we will start the single crochet stitch. That completes the single crochet. Now finish out the chain with single crochets to practice and you should be able to maintain even stitches.